MCB's house lines are each designed around a common concept. Stories in the lines are to be standalone, giving authors freedom to do as they like (within the guidelines ;D), but they will also allow readers to pick up a book knowing certain tropes and genres are to be expected. Win-win for everybody. The stories must feature a HFN or HEA ending, and need a strong genre fiction plot to be considered. No erotica please. While we are happy to accept explicit material of all heat levels, we want the romance and plot to be the focus. For the romance A Legendary Love, Everyday Heroes, A Dusty Heart, and Lost in the Stars house lines, all LGBTQ protagonists, cis* and trans* are welcome. Characters along the queer spectrum - gay, lesbian, bi, pan, ace/gray spectrum, etc - are encouraged. We also encourage stories with characters that have diverse ethnic and racial backgrounds. For our house line, Queer for the Record, any kind of queer relationship is also welcome, and characters along the queer spectrum - gay, bi, pan, ace/gray spectrum, etc - are encouraged. In addition, different types of relationship dynamics - mono, poly, open - are welcome. We also encourage stories with characters that have diverse ethnic and racial backgrounds. These stories can be contemporary romance. ALL of the house lines have a rolling submission. There are no deadlines now that submissions are open. In addition, the house lines are royalty-paying contracts. MCB is a full-service publisher. We handle all the editing, covers and offer a three year contract. Contracts offered are royalty-paying contracts. 40% of the first 1000 copies of all ebooks, with increasing increments depending on the number of books sold. Our Queer rainbow has so many colors, and we want to be able to showcase all of them. Bring us positive representations of queer romance in any setting - lesbian xeno-diplomats, non-binary paladins, asexual secret agents, transgender mages, pansexual artists - characters all along the queer spectrum in every imaginable role. Queer stories, queer relationships, queer romances that end with a Happily-Ever-After or Happy-for-Now. Representation matters for all of us on the spectrum and we want stories that run the gamut. Romance first! But we want a nice genre plot too. This is for queer lovers - any type of positive representation, in any genre is welcome. We are looking for solid world-building! It needs to make sense. If it's a genre like paranormal, fantasy or scifi, the world-building needs to make as much sense as possible, otherwise the rest of the story won't hold together. Yes, it's romance first, but the world-building is important too. Must be a standalone story with no connection to any series or universe. We want emotion. Laughter, tears, and everything in between. The stories can be sweet or they can be sit-on-the edge of your seat suspense, but no angst please. You can run the gambit of light to dark, but don't forget the HFN/HEA! Format your documents (*.doc or *.docx files only) as follows: Author Name/Title/Page # upper right hand corner, 12 pt TNR, 1" margin, 1.5 spacing, .25 paragraph indent - no spacing or tabs please. (You can download our submission template above). 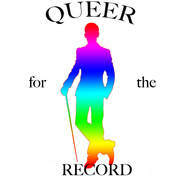 Submit stories in their entirety to: submission.mischiefcornerbooks@gmail.com Attn: Queer for the Record. You should receive an automatic notice letting you know we have received your submission. If not, send a query to us. This is for all the folklore, myth, paranormal, and shapeshifter lovers out there. We want romances featuring characters out of folklore and legends—our world with a touch of fantasy and magic. Think out of the box! Read up on your folklore & legends and give us a new twisty update or a surprise. Romance must come first but we want strong external/internal points of conflict for our characters. Must fall in the paranormal to urban fantasy & fantasy genres and sub-genres. No contemporary genre stories. Sorry, but we do have other house lines! We want emotion. Laughter, tears, and everything in between. The stories can be sweet or they can be sit-on-the edge of your pants suspense, but no angst-only please. You can run the gambit of light to dark, but don't forget the HFN/HEA! Stories that aren't your standard werewolf/wolf shifter story are prioritized. There are a lot of alternative creatures, ghosts, gods, and "other" out there. Give us something different and exciting. If you are not sure if something will fit with this line, drop us an email. Submit stories in their entirety to: submission.mischiefcornerbooks@gmail.com Attn: A Legendary Love. You should receive an automatic notice letting you know we have received your submission. If not, send a query to us. Everyone loves a person in uniform—the firefighter, the ER nurse, the naval officer, the small-town sheriff—or the everyday person who takes heroic action. This house line is for the people who enjoy seeing our everyday heroes get the partner of their dreams. We want a hero who has been through the ringer and back then gets the love they deserve. These stories have great potential for external conflict—use it! One protagonist must either be a man in uniform, or an everyday guy who takes heroic action under pressure. Contemporary stories only! Mystery, suspense, sure, but the world has to be based in our reality. Any sub-genre that can strengthen the plot is welcomed and encouraged. Minimum of 40,000 words. Maximum of 64,000 words. Submit stories in their entirety to: submission.mischiefcornerbooks@gmail.com Attn: Everyday Heroes. You should receive an automatic notice letting you know we have received your submission. If not, send a query to us. Cowboys/Cowgirls and ranch hands are Mmm-mmm good, but it can get lonely out there on the range. These folks need someone to give their broken hearts some tender care. Whether on the farm, out on the range, or misplaced in the big city chasing a dream, they need someone to burrow underneath their tough exteriors and get them to remember what it means to love. Love isn't always easily attainable, though, and something they have to fight for. One protagonist must have ranch or farming experience, and be a cowboy at heart. We want emotion. Laughter, tears, and everything in between. The stories can be sweet or they can be sit-on-the edge of your pants suspense, but no angst please. You can run the gambit of light to dark, but don't forget the HFN/HEA! Submit stories in their entirety to: submission.mischiefcornerbooks@gmail.com Attn: A Dusty Heart. You should receive an automatic notice letting you know we have received your submission. If not, send a query to us. No simultaneous submissions, please, or submissions of stories currently carried or soon to be released with other publishers. This also includes previously published stories; only new stories will be considered. n addition, please do not send in multiple stories at once. Give us a chance to read your submission then send in your next one once we've gotten back to you. Space ships. Alternative realities with faster than light travel. Time machines. Worm holes. A world thriving after a nuclear holocaust. Our Lost in the Stars line is our beacon for the future, where science fiction gives us hope and a way forward in turbulent times. Innovation. Technology. The Stars. All of them give us hope for a better tomorrow. Sometimes, though, there are those who would want to strip us of everything we fought for. Our LGBTQ heroes and heroines push on despite the odds and overcome the obstacles laid out before them to obtain their desires and each other. This is for science fiction lovers. Some steampunk may apply—but we're watching you. The science needs to make as much sense as possible, otherwise it's not science fiction. Yes, it's romance first, but the science is important too. Submit stories in their entirety to: submission.mischiefcornerbooks@gmail.com Attn: Lost in the Stars. You should receive an automatic notice letting you know we have received your submission. If not, send a query to us. What about Series or Universes? We get it. Readers love series. They also love stand alone novels. The house lines are developed so a variety of stories by different authors can reach readers looking for specific genres and types of stories, and as a result, getting them to take a chance on a new author. MCB is more than happy to hear pitches for a series/universe from authors we've worked with and would like to work with again. So if you have an idea percolating, then the best chance is to try submitting to one of our house lines (so we can get to know each other) first. If we find we like working together, then chances are we would be open to hearing a pitch on a series.